HIV treatment advances have dramatically improved longevity and quality of life for people living with HIV — yet disparities in treatment persist in the U.S. Homeless people are at increased risk of contracting HIV and are less likely to receive consistent care. How can public health and social service professionals best treat people living with HIV and homelessness? 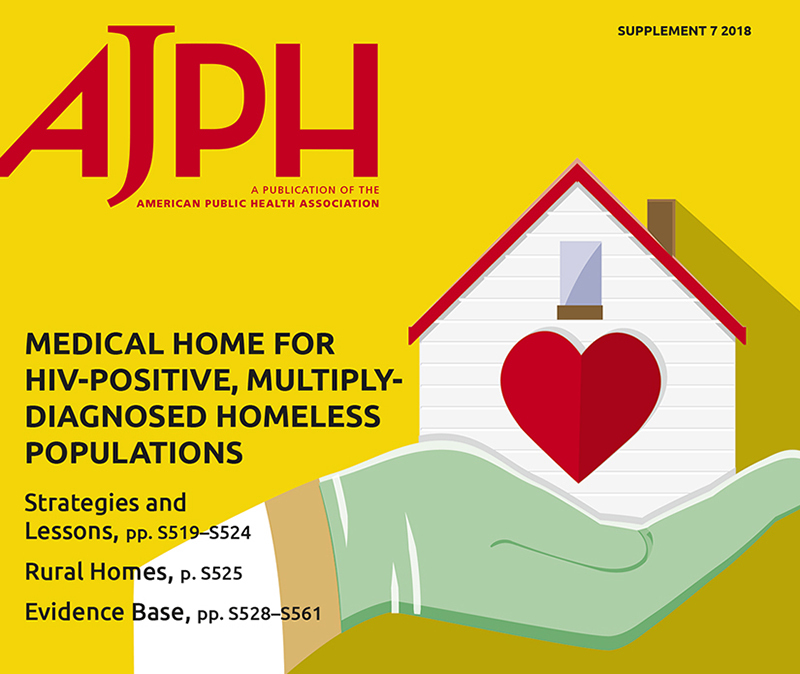 The American Journal of Public Health’s (AJPH) December 2018 special issue, “Medical Home for HIV-Positive, Multiply-Diagnosed Homeless Populations,” features research from the Center for Innovation in Social Work and Health (CISWH), and its community partners, providing an updated examination of people living with HIV and homelessness, and strategies for improving their health. The AJPH issue features research and editorials by Serena Rajabiun, MA, MPH PhD, research assistant professor at Boston University School of Social Work (SSW) and principal investigator at CISWH. Rajabiun led the Medical Home HIV Evaluation & Resource Team (Med-HEART) project, a five-year partnership between Boston University School of Public Health (SPH), SSW, and Boston Health Care for the Homeless Program. Med-HEART evaluated nine demonstration sites across the U.S. that participated in interventions to improve HIV care and housing stability. These interventions included partnerships between HIV services and housing providers, integrated behavioral health and HIV services, and network navigators—members of the health care team who worked one-on-one with clients to improve access to HIV care, housing, and support services. Med-HEART was funded through the U.S. Department of Health and Human Services. Project collaborators include SPH’s Howard Cabral, Alexander DeGroot, Emily Sisson, and Karen Fortu, along with SSW faculty member and former CISWH Director Sally Bachman. The articles highlight best practices and lessons learned from Med-HEART on a range of topics—including the impact of housing on HIV care, stigma reduction, determinants of housing stability, patient-centered care, patients living with multiple comorbidities, rural patient considerations, and more.